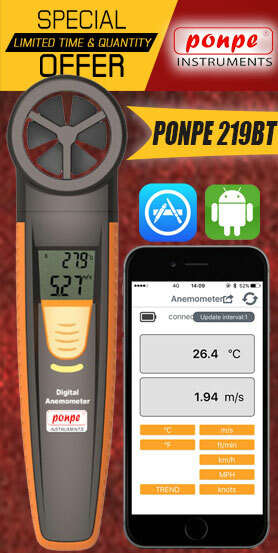 Designed specifically for agricultural professionals, the Kestrel 3500 Delta T provides Delta T readings. Delta T is the spread between the wet bulb temperature and the dry bulb temperature, and it offers a quick guide to determining acceptable spraying conditions. When you know Delta T, you ensure that every drop of spray counts. 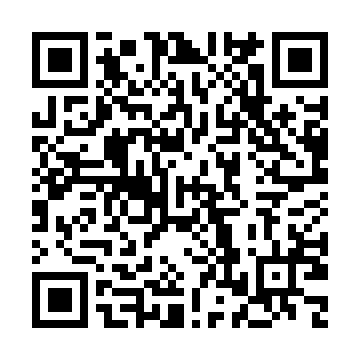 This Delta T agricultural calculation is unique to 3500 DT model, as it was designed with the farming community in mind. 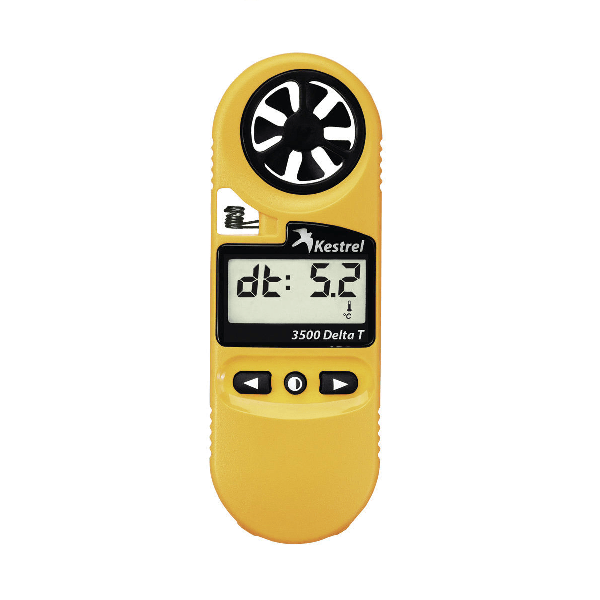 The only features available on the Kestrel 3500 Wind Meter that are not available on the 3500 Delta T are wind chill and heat stress index. *To Note: The Kestrel 3500 Delta T does not log accumulated data like the more high-tech weather meters of the Kestrel 4000 series. The Kestrel 3500 Delta T's easy to use menu system scrolls through each of its environmental measurement conditions. It has an external temperature sensor with a waterproof casing that allows you to gauge the temperature of water, snow, and the open air. The sensitive and user-replaceable impeller technology provides accurate wind speed info, and a hard slide-on case, lanyard, and battery are included.